Just a small little post about a small little garden in the East Village. 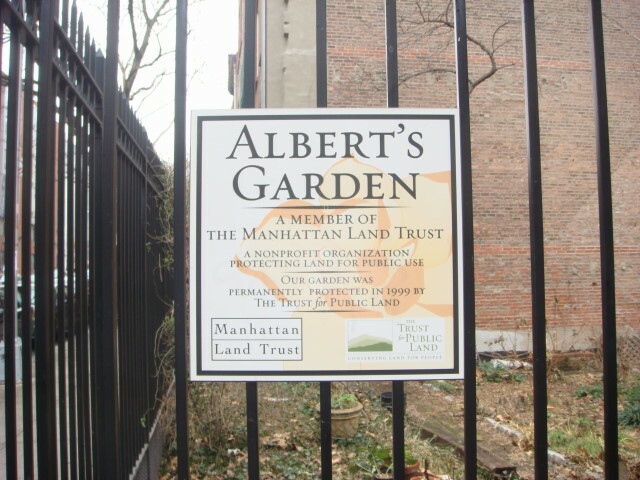 Albert’s Garden, that is. How small? Here’s what it looks like from across the street. Yeah, it’s about two car lengths wide. It seems to be the location of an old tenement from way-back-when. Maybe it burned down or collapsed or otherwise was destroyed during the bad old 1970s and 80s. Whatever. 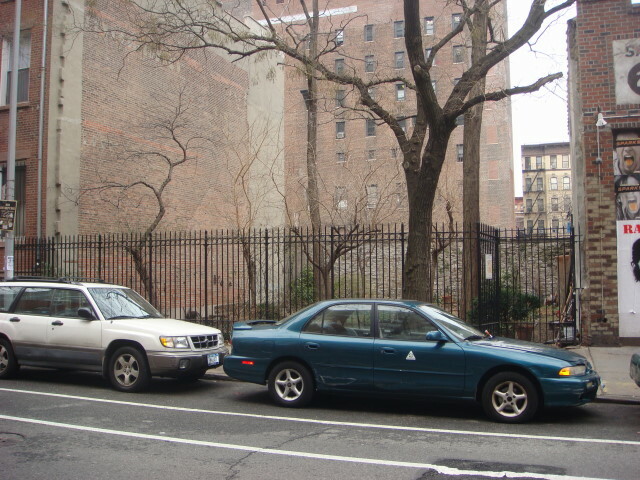 It’s gone now and the Manhattan Land Trust has the area. 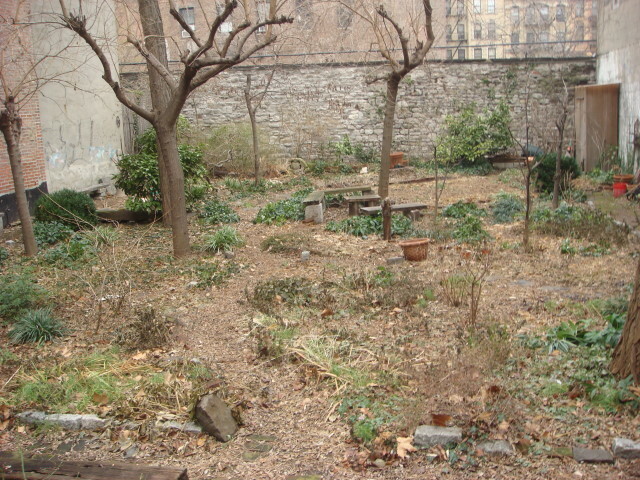 In most places, this would be a vacant lot, but this is NYC and this is now a public garden. Well, there’s not much growing there now. It’s open four days a week between April and October. In NYC, you take your greenery wherever you can find it. This entry was posted on January 9, 2008 at 6:11 pm and is filed under Greenwich Village, LES. You can subscribe via RSS 2.0 feed to this post's comments. You can comment below, or link to this permanent URL from your own site.